So glad you're here. You are invited to our worship service. I A G - A Church for All Language Groups. FB & YouTube Live : Sundays 10:45 am + 11:30 am. 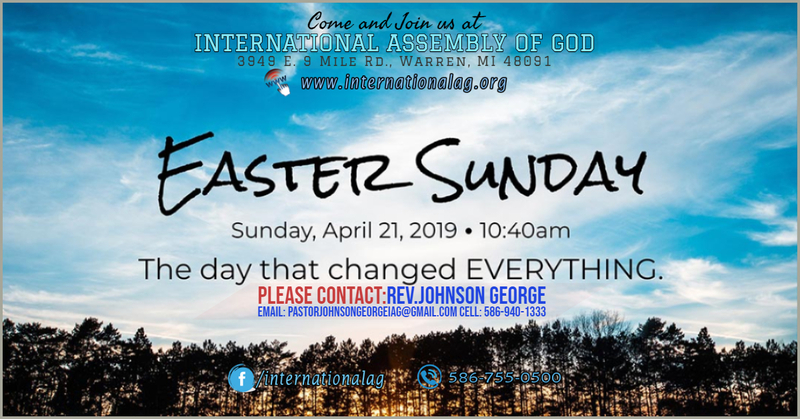 Utilizing the arts and every creative talent and gift that God has given to us as our expression of love to Him in worship is very important at IAG. We are truly enriched with state-of-the-art musical instruments and a variety of instrumental talents. Some of that talent is represented n the drums, saxophone, keyboard, bass and acoustic guitars and a variety of vocalists in the Praise Band. Drama is also a growing part of our ministry as well. Through drama, we express the theme of the message in a funny or thought provoking way. Our children also compete with other children throughout the state and country in the annual Fine Arts Festival, which allows our children to further explore Music, Drama and Art in a Christ-centered environment. International Assembly of God is a friendly, family oriented church with a strong Biblical basis.